Amsterdam Neighborhoods - which area is fit for you? 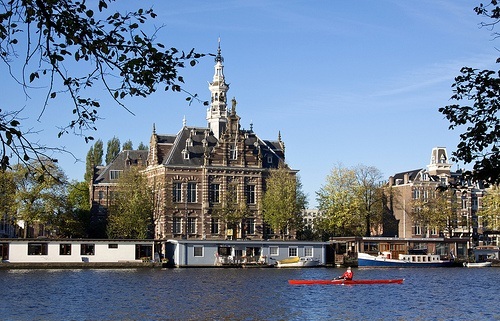 Amsterdam’s city center is beautiful, but don’t forget visiting some of the other neighborhoods. On this page you find all information per neighborhood and how to get there. All Amsterdam neighborhoods discussed below are safe, friendly and great to go to. Outside of the city center, the SouthSide is probably the area with the most interesting things to see and do fo a tourist. The large affluent area boasts such landmarks as the Museumplein, the Vondelpark, the Zuidas and a few nice cozy neighborhoods. This is the most chique of Amsterdam neighborhoods. 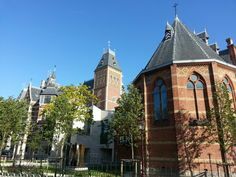 When you’re going to visit the Van Gogh Museum and Rijksmuseum on Museumplein, be sure to visit the surrounding area as well. Parallel to the Museumplein is the PC Hooftstraat. 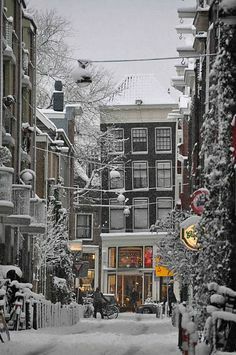 This street is the number one shopping street in Amsterdam for expensive brands. All the big international fashion brands have a store here. If you’re going shopping be sure to also visit the Van Baerlestraat which has a bit more local feel to it but some great shops and restaurants. The Museum Quarter is a place where established writers, politicians and the like live. The houses have high ceilings and are typical for this neighbourhood. 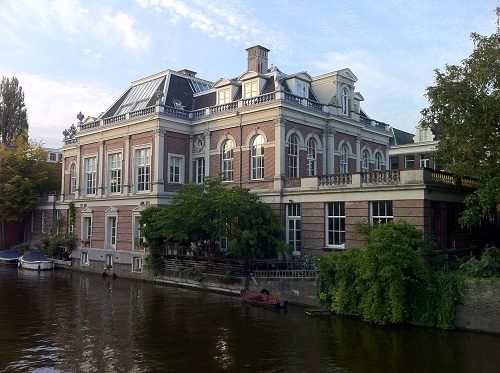 Check out for example the large villa’s located right next to the Museumplein or the Vondelpark. There are plenty of restaurants and bars to enjoy while you’re walking the area. Museums in the Museum Quarter include Van Gogh, Rijksmuseum, Diamonds Museum Amsterdam, House of Bols and the Stedelijk Museum. The heart of the Apollobuurt is the Beethovenstraat. This street reveals everything about this nice small neighborhood in Amsterdam’s southside. Expensive high quality grocery shops, trendy coffeebars, expensive cars and probably even most the wealthy old people are all a good indication of the affluence of the Apollobuurt. 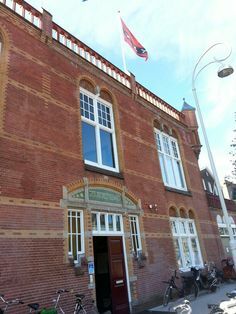 The architecture is typical for the Amsterdam School from the 1920’s and 1930’s. Stroll around in the Apollobuurt and experience the cozy atmosphere and as top attraction the Harmoniehof. This small green court serves as a true oasis in the bustling city of Amsterdam. The Amsterdam Hilton is located in the middle of the Apollobuurt. This storied place is known for the “Bed In Peace” protest by John Lennon and Yoko Ono. Locally, this luxurious hotel is also known to be the place where crimeboss Klaas Bruinsma was killed and Rock and Roll badguy Herman Brood jumped off the roof in a succesful suicide attempt. The Amsterdam Hilton hotel is a landmark in its own right. Take tram 5 or 24 to go to the Apollobuurt. 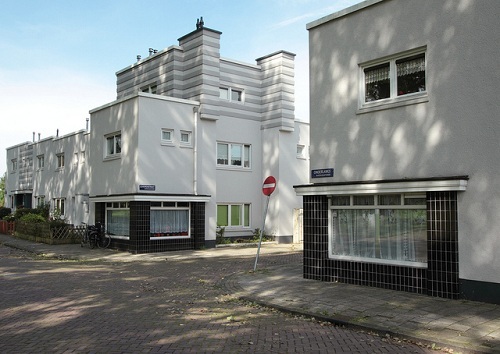 The Rivierenbuurt is another primarily residential area where many young couples and young professionals live. The famous Amsterdam School of architecture is present in a lot of the buildings. Highlights include the Scheldestraat with many restaurants and the two best Italian ice cream parlors in Amsterdam located right next to each other. The Rivierenbuurt is also known for the Amsterdam RAI Convention Centre, the largest in Europe. Take tram 4 or 25 to the Rivierenbuurt. The Pijp (“Pipe”) is an old neighborhood were laborers and later immigrant laborers used to live. This is one of the Amsterdam neighborhoods (like the Jordaan) that miraculously changed into a trendy area for young people and students. This has led to a exciting mix of people from all backgrounds. The Pijp still has its old Amsterdam atmosphere though and is thriving both at day and at night. The main street in the Pijp is the Albert Cuyp market. 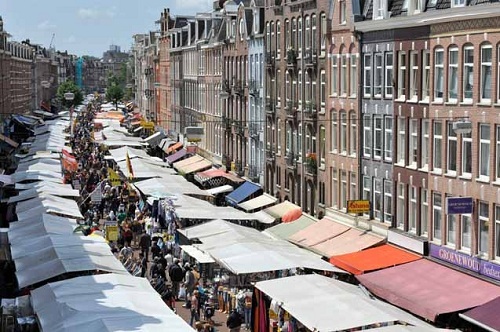 Amsterdam’s biggest market crosses the Pijp from east to west. 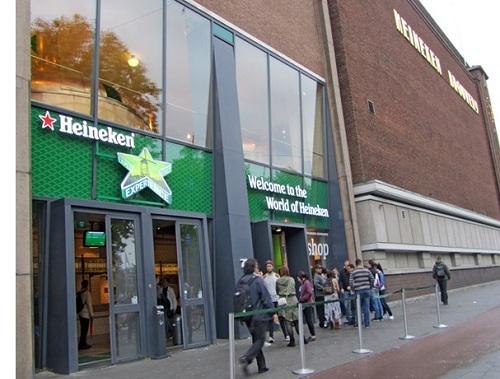 Another place worth visiting in the Pijp is the Heineken Experience. This is the museum for the most famous beer Amsterdam and perhaps the world has ever produced. Behind the Heineken Experience is the Marie Heineken Square which is somewhat of the center of the Pijp’s nightlife. You’ll find many bars and cafe’s this area and the crowd is very relaxed. The Pijp is also the only neighborhood bar the city center with a red light district. On the Hobbemakade and a few adjecent streets you will find Amsterdam’s typical prostitution policies in full effect. Take tram 4, 16, or 25 to The Pijp. Amsterdam’s East Side is fairly small, but very interesting for tourists. This area has landmarks such as the Royal Zoo, the Kadijken and the stomping grounds of Johan Cruyff. The Plantagebuurt is the most affluent area of Amsterdam’s eastside. 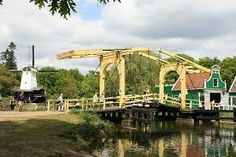 The neighbourhood is named after a plantation (“plantage) because when is was started in 1663, there was a lack of interest which turned the area into a lush green field where Amsterdammers used to picnic during the weekends. Today the Plantagebuurt consists of large three story houses and, given its proximity to the city center, quite a few trees. It is a small and friendly area and because it is right below Waterlooplein worthwile for an afternoon stroll. 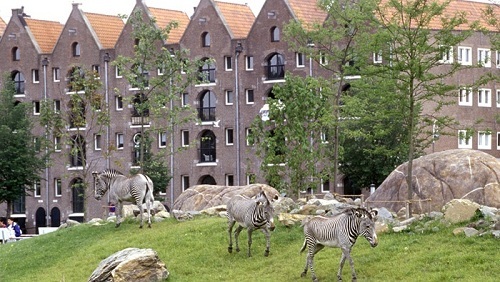 In the Plantagebuurt you will also find Amsterdam hallmarks such as the Royal Dutch Zoo, Artis. If you’re not into animals but more into plants closeby is the Hortus Botanicus, one of the worlds most renowned botanic gardens. Take tram 9 and 14 to go to the Plantagebuurt. 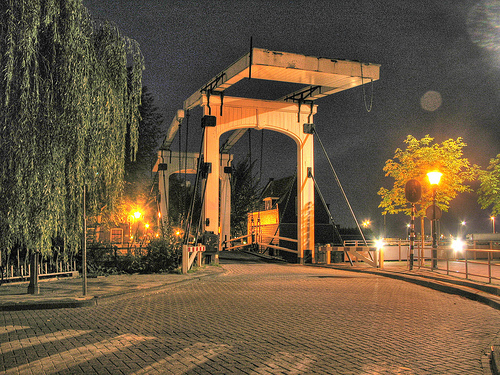 A much forgotten area in Amsterdam but one you should definitely consider for your itinerary. The Kadijken are directly north of the Royal Zoo Artis. It is special because it consists of around hundred warehouses from the early 18th century. 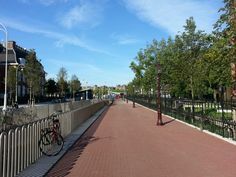 The Kadijkenbuurt is actually located on an old dike built to help contain the IJ lake. It’s a nice neighborhood to pass through and spend an hour or two. It’s right next to the city center so easy to get to by foot. Walk from Waterlooplein towards Royal Zoo Artis and go north. The Watergraafsmeer is a quiet residential area which is perfect for an easy going afternoon strolling down the cozy streets. This is one of the more greener Amsterdam neighbourhoods and this is partly due to the beautiful park Frankendael. 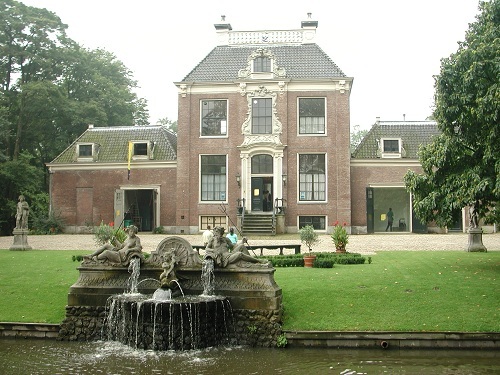 Back in the 17th and 18th century many rich Amsterdammers built villas in the Watergraafsmeer and this park is named after the last such building left which is right at the entrance. It is one of the best looking and well maintained parks in Amsterdam. For people that love football, the old Ajax stadium where Johan Cruyff learned the ropes was based in Watergraafsmeer. As Ajax has moved to the new Stadium in Amsterdam South-East, this is now a neighbourhood with names of other famous stadiums such as Anfieldroad and Wembleylane. 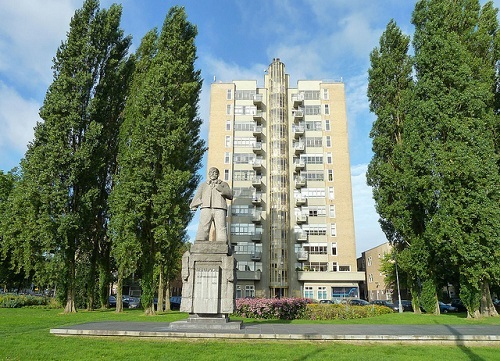 If you really want to get in touch with the best football player of all time, Johan Cruyff was born in the pitoresque Betondorp (“Concrete Village”) which is also in the Watergraafsmeer. Last but not least, the Watergraafsmeer is the only neighborhood in Amsterdam that is actually built on a Dutch polder. Take tram 9 to Watergraafsmeer. Amsterdam has a very large West Side. The most interesting neighborhoods are the ones directly bordering the city center. 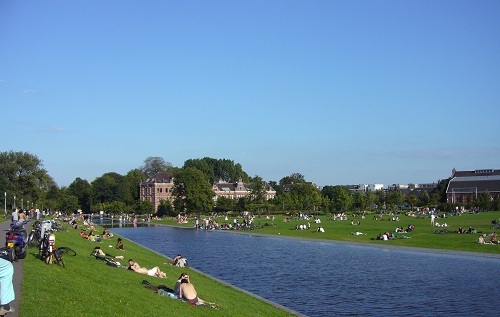 Westerpark is a neighborhood named after one of the top parks in Amsterdam. This neighborhood has a lot of variety, and some of it might be more interesting than the other. The first place we would recommend is the water tower and the modern surrounding area. This area has ecological buildings and a lot of green in a dense populated environment. Second place is the Houthavens. Many creative companies have their headquarters here and its a nice stroll along the IJ waters. 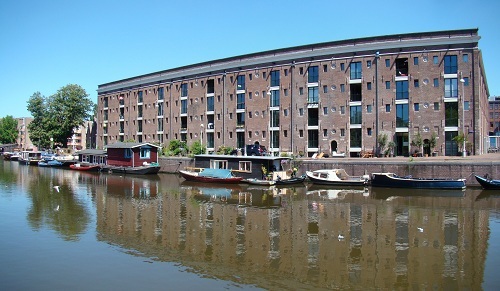 The buildings are old school and means to facilitate trading and warehousing. 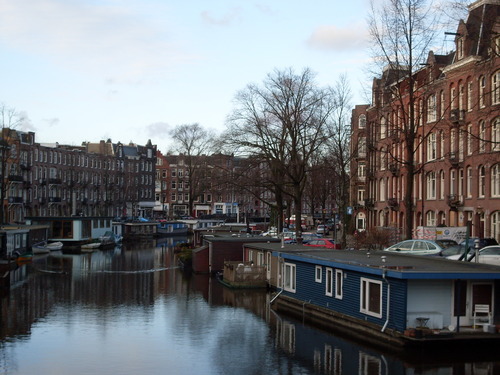 It is one of the examples of a quieter but historical areas of Amsterdam. Right next to the Westerpark are the not so famous but perhaps most beautiful gables of the Zoutkeetsgracht and Grote Bickerstraat. This is definitely worth a visit if you’re looking for the typical Amsterdam canal houses. The Old West side of Amsterdam is located north of the Vondelpark and west of the canal ring. This is a small residential area which has become quite trendy the last few years. The shops in this neighborhood resemble this quite a bit. You will find lots of organic food (Marqt being the prime example), childrens and baby clothing and trendy coffee bars. No surprise this is one of the favorite Amsterdam neighborhoods to live for young couples raising children. In terms of scenery, best to start off leaving the Vondelpark and stroll through the small streets with their grand 19th century buildings. 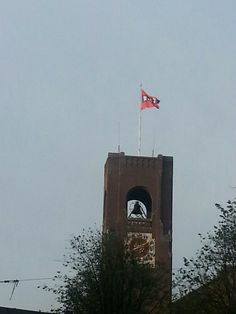 Specifically interesting sights are the Vondelkerk (Vondelchurch) and the Hollandsche Manege, the oldest horse riding school in Western Europe. Amsterdam South East also known as Bijlmer. North side.